and that the products shown are worthy of inclusion. care and feeding of your Casita! and the addition and deletion of factory options. It was a relatively light update compared to previous versions. 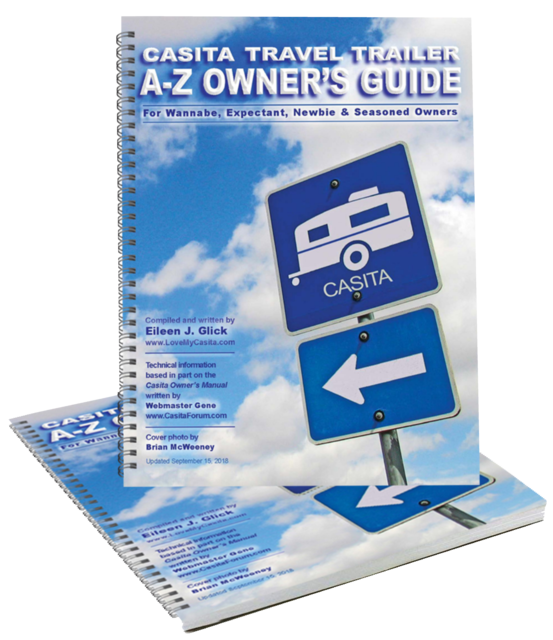 Our goal is to make sure your Casita ownership is enjoyable and safe. 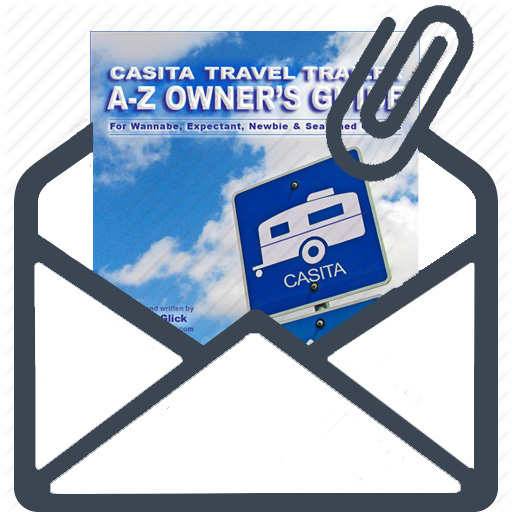 products and discounts on new Casita products. 7- or 8-digit Registration Number. is your unique number for that year. from the Guide to any device YOU own. DON'T FORGET TO ADD DECALS TO YOUR ORDER! Can be read on any electronic device having PDF reader software installed. Emailed as an attachment within 24 hours of ordering. Sorry, no refunds after the Guide has been emailed. water you have in your tank. Update to the latest version for as little as $10! * Printable Checklists for everything imaginable! WHICH GUIDE SHOULD YOU ORDER . 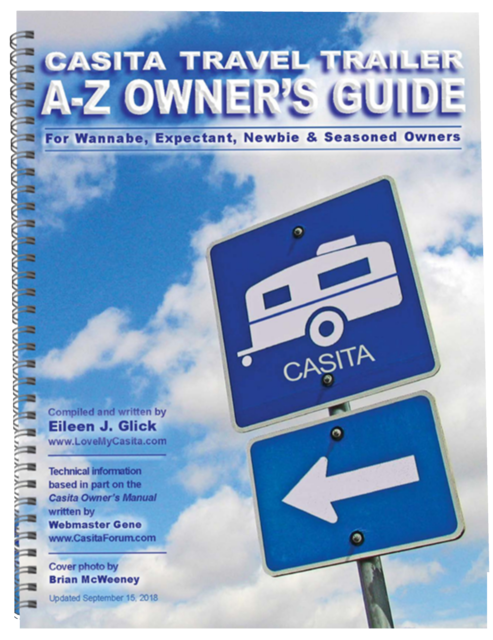 . .
​​Loaded with everything you need to know about purchasing, taking delivery, and caring for your Casita! Just plug it in to your desktop or laptop USB. Open with your pre-installed PDF reader software. Can be copied from the USB to the cloud or your hard drive. Sorry, no refunds. If USB is defective, it will be replaced. ENJOY THE ADVANTAGES OF OWNING BOTH VERSIONS AND SAVE $20.00! Allow 10 days for delivery of Print Book and 24 hours for delivery of Email. All pages can be printed, searched, highlighted, enlarged. Clickable website and content links. File can be saved in your email inbox and opened on any device with a PDF reader. Takes up no physical space. All internet links must be manually typed into an electronic device to access. Bulky to store in the Casita. Same Cons as Email version. Guide must be opened on a laptop, tablet, or cell phone using PDF reader software. Large type; easy to read. Use Post it notes or stickers. 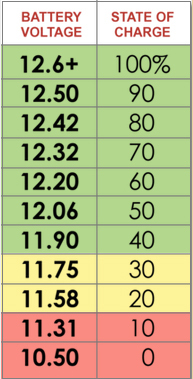 Highlight or make notations. 8.5" x 11" book means it's always on-hand. Compact size makes it easy to carry and store.